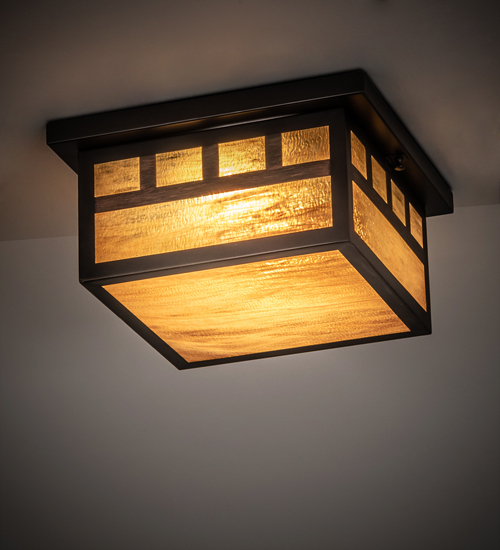 Description: A Solid Brass profile and straight line design inspired by the Mission movement are the hallmarks of this handsome American Craftsman Signature style lantern. This Arts & Crafts motif comes to light through Honey Amber art glass complemented with handsome hardware featured in a Craftsman Brown finish. Designed for both indoor and outdoor applications. Handcrafted by Meyda artisans in the Yorkville, NY manufacturing facility at the foothills of the Adirondack Mountains.